Today was spent finishing the race preparations. 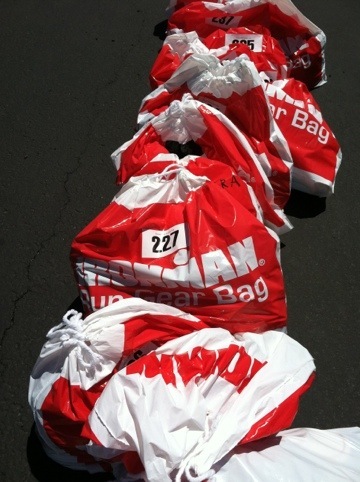 This included getting 5 different bags ready for various race locations, dropping off the bike and some of the bags, driving the bike course one more time, and trying to rest while getting that all done. This is it! 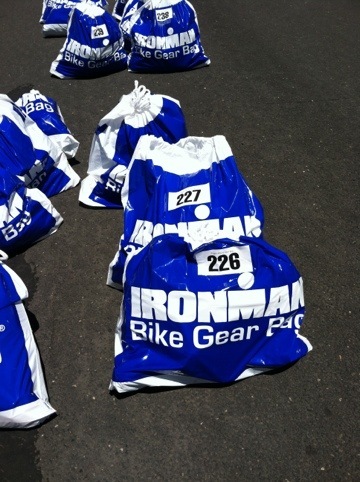 I have been preparing for this for a year and it is just one more sleep until I get to become an Ironman. I can’t say thank you enough to all the support I have been getting from my family and friends. This experience has left me feeling very lucky and happy! Race day. 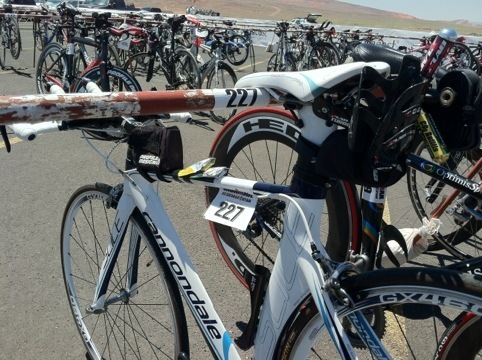 According to the tracker Rebecca finished the swim 1:33:03 and transitioned to her bike in 5:05. Weather is cooler than forecast. Woo hoo! Go girl! doing great! halfway thru the run and picking up thepace! keep it up! 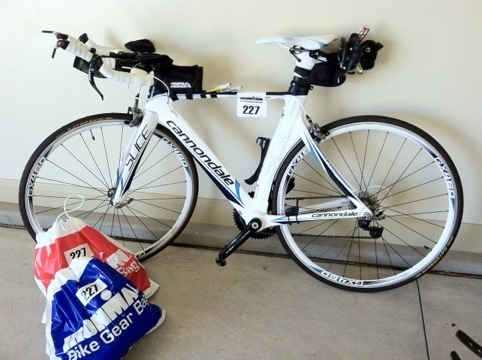 Biked 112 in 8:48:48 and looks like running strong! She just crossed the finish line at 16:41 something!!! Smiling and running!!! Way to go Becca! You are an Iron Woman!! And you inspire me.